I’m pretty sure you guys are sick of it by now, but yep, there’s another continuation. Part 1 – Where we discover and dissect what code is stolen. 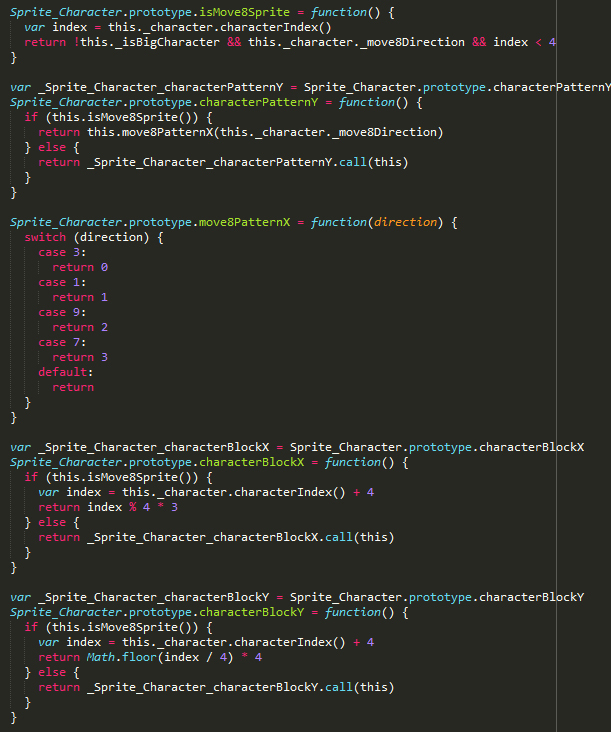 Part 2 – Where the coder in question straight up confesses. So what’s part 3 about? 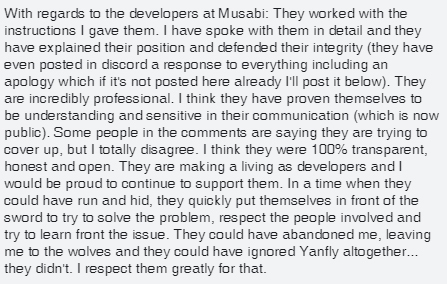 Well, it seems that Foundat.io/n (apparently what they call themselves on Facebook) made a reply in a particular Facebook community. For those who don’t have access to the Facebook group, here’s their responses (thanks to KeepSwagKeeping for stitching it all together) Now, before you all go and raid it, I suggest against doing that. I’m only putting it out there to bring it light in case people question where this incident is coming from so I can bring things to light. I won’t be posting everything, but I will be taking bits and pieces. I will be jumping around a bit to keep things in context. I’m going to say this straight up. 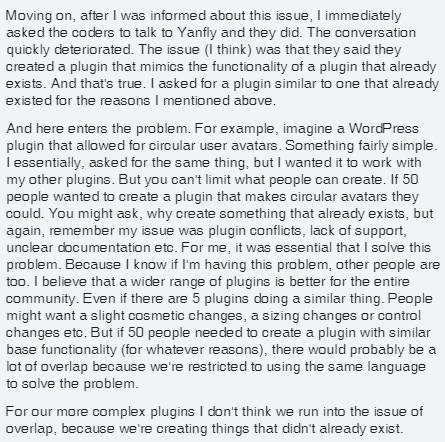 Just because a plugin is unsupported or abandoned does not mean that they don’t work. In fact, I, myself, know of the quality that Galv, Victor Engine, and MogHunter can deliver and their code works just fine. Want to know how? Because your programmer stole them, put them into the same project, practically unchanged, and they work. The only reason why some plugins don’t work together is because you, as a game developer, are trying to use two plugins that do the same thing together. From what I can tell, Day/Night cycles have nothing to do with Region Restrictions. Fogs have nothing to do with 8 directional movement. There should never have been any conflicts between these from the start. Like said before, the conflicts don’t exist unless the game dev is trying to use two plugins that try to do the same thing. And once again, just because it’s unsupported or abandoned does not mean it’s unusable. Committing to such an idea is disastrous and dangerous. 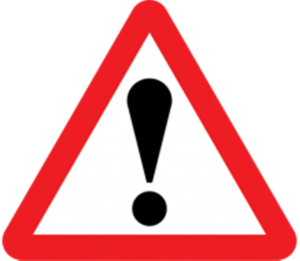 Do you suddenly stop driving your car just because the warranty ran out? Or do you immediately stop wearing your sneakers just because the brand that made it no longer exists? Of course not. Plugins are the same way. They do not have a shelf life. They do not have an expiration date. Even my scripts from VX and VX Ace still work just fine for their respective software despite the fact I’m no longer supporting them. 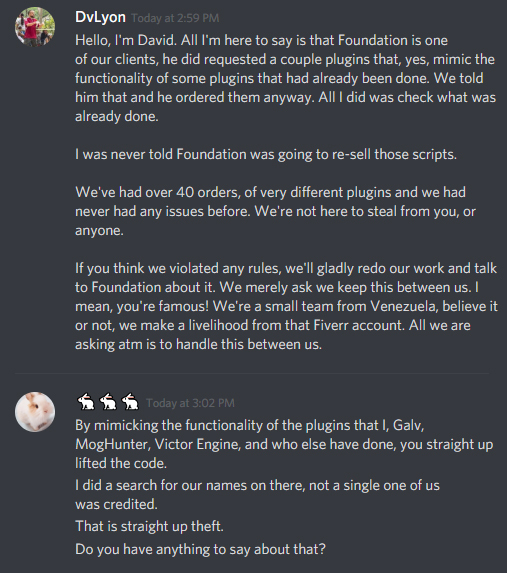 This leads me to two conclusions: Foundat.io/n is either an inexperienced game developer, in which, they should not be trying to sell to the community when they have no clue how to even get their own foundation straight or they are making excuses to get a story started to sell stolen plugins from developers that aren’t active or are semi-active. Here’s the problem with that argument. While I do agree it’s hard to be 100% unique when you’re trying to solve the same problem, do you use the same exact functions in the same exact order? 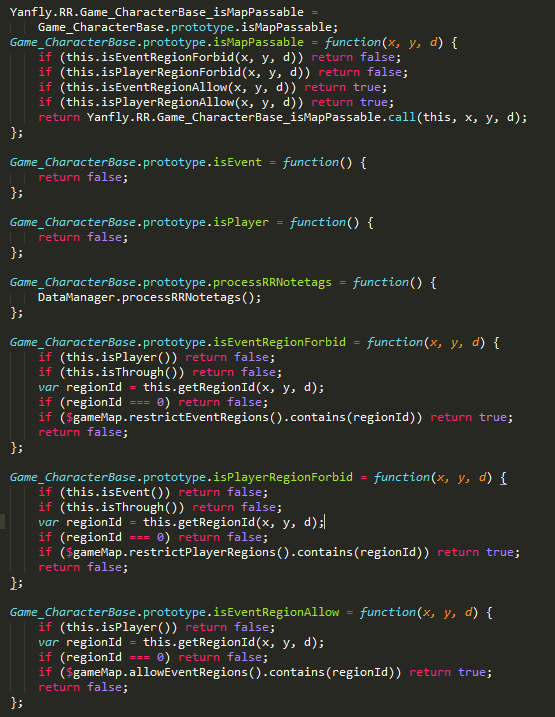 Aside from isMapPassible, I’ve made every single one of those functions in that same exact order. Is there any logical reason they ordered the same functions in the same exact way, too? What they also did was renamed “Forbid” to “Block” and took out the processRRNotetags. Now, here’s the REAL kicker. isEvent and isPlayer are functions that do NOT exist in the main code. In fact, these are additions made by mine. And the concept behind them is to utilize prototyping. Is there a reason to utilize the exact way I did something instead of doing a check for any of the following which accomplish the same thing? Those may mean nothing to a non-programmer, so let’s put it into English terms. If I say, “That campfire is scorching.” The meaning is clear, the campfire is hot. There’s plenty of ways to say hot. Hot, burning, flaming, etc. The list goes on. But if you specifically target my exact function, in my exact order, with my exact methods, that’s plagiarism. I can do the same for Galv’s plugin and the stolen 8 directional diagonal movement, but you can piece together the evidence through what I’ve posted in part 1. In programming, there is no “more logical” path to choose from. My isEvent and isPlayer is not more logical than the other. In fact, looking back, I probably should have just used “this === $gamePlayer” instead because it doesn’t involve the unnecessary creation of two new functions. But that exact hindsight is all the more reason why I see so many red flags to this code being stolen. 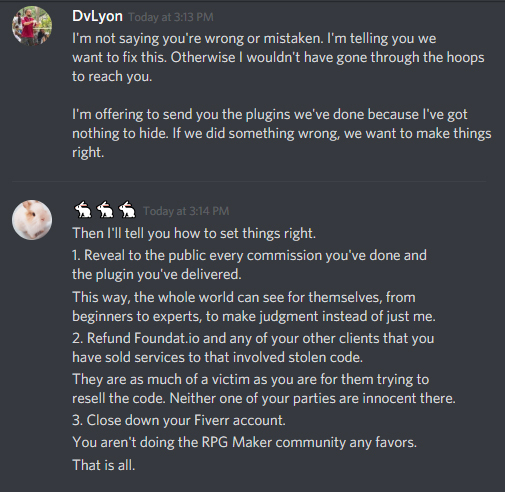 And I will be saying that as long as you, Foundat.io/n, continue to support these scammers, your work will never be welcomed here in the RPG Maker community. 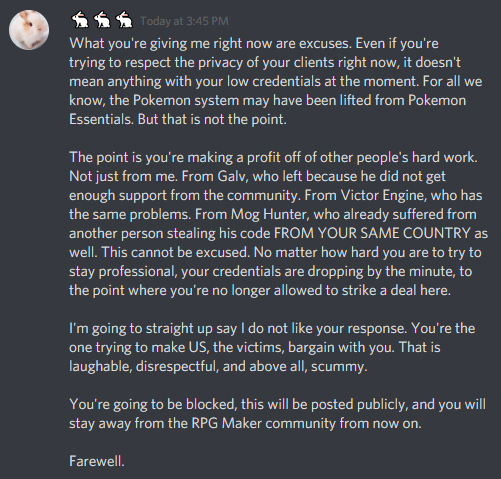 The fact you even dared to declare that you will continue supporting them shows that you disrespect every single one of us who contribute to the ever growing community for RPG Maker. 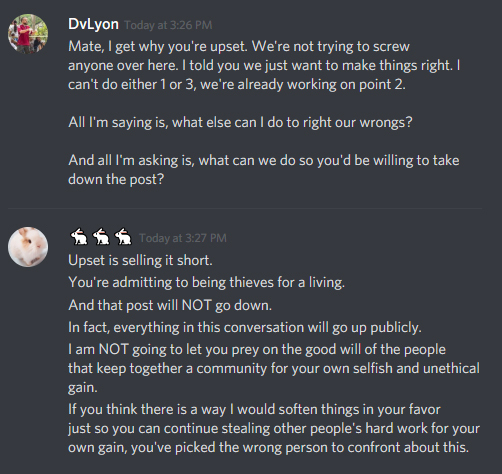 From plugin creators to graphical asset devs to authors, writers, editors, to the Youtube/Twitch Let’s Players, to the moderators and administrators on forums and Discords, everyone who works hard to keep the community thriving, you disrespect them all by knowing that these people have stolen from the community and declaring you will still continue to support them. And may the RPG Maker community never have to step in your direction ever again. Here is the continuation of the theft incident. 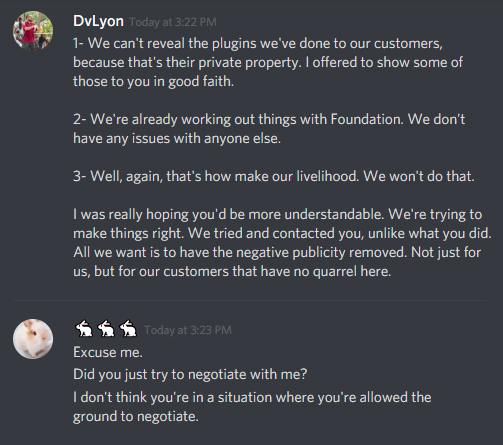 Musubi Game Studio, aka the person who made plugins for Foundat.io, came and approached me in Discord through direct message. Here are the logs. (For the Pastebin version, click here). 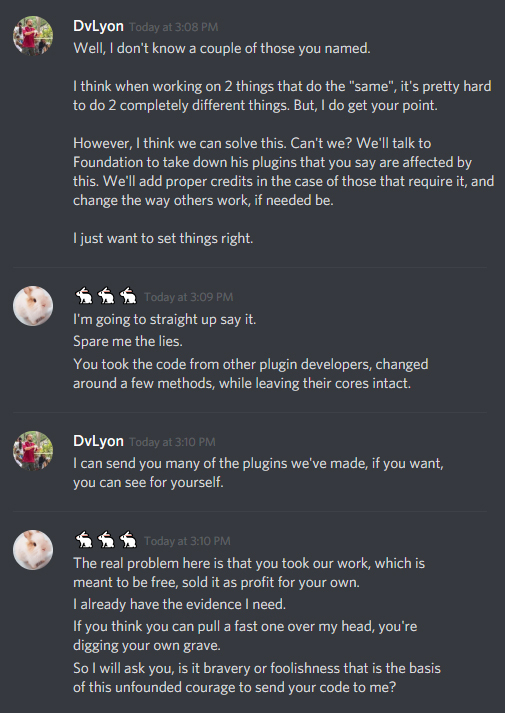 So, as you can see for yourself, this person, tried to not only negotiate with me about stolen plugins, but admitted to being a thief and that this is his livelihood. I’ll repeat it again in case it got missed, do not buy services from this guy or from this website. Neither of them are trustworthy. It’s come to my attention that there were plugins for RPG Maker MV being sold on Foundat.io. It’s also come to my attention that there’s some suspicious activity going on so I took to investigate it myself by downloading one of their free plugins: Region Restrictions. 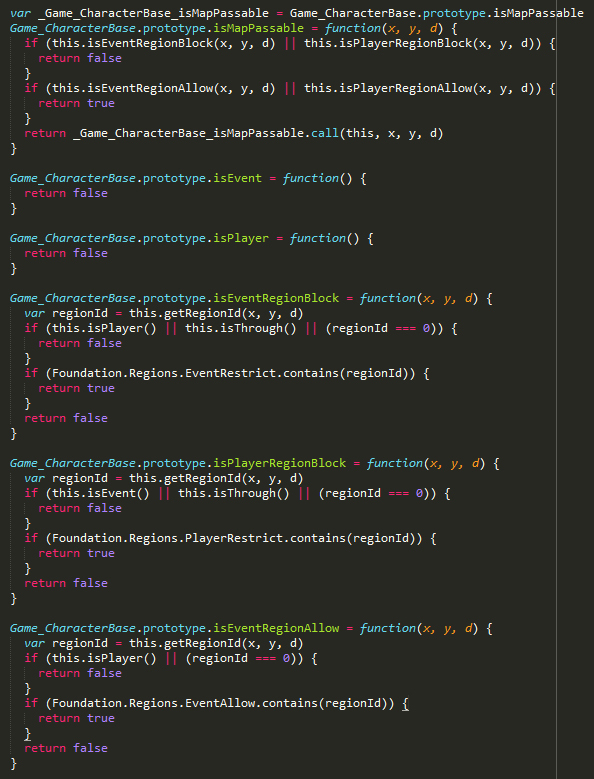 Here’s a snip of their code. Maybe once is a coincidence. Let’s take a look at their Diagonal Movement plugin. 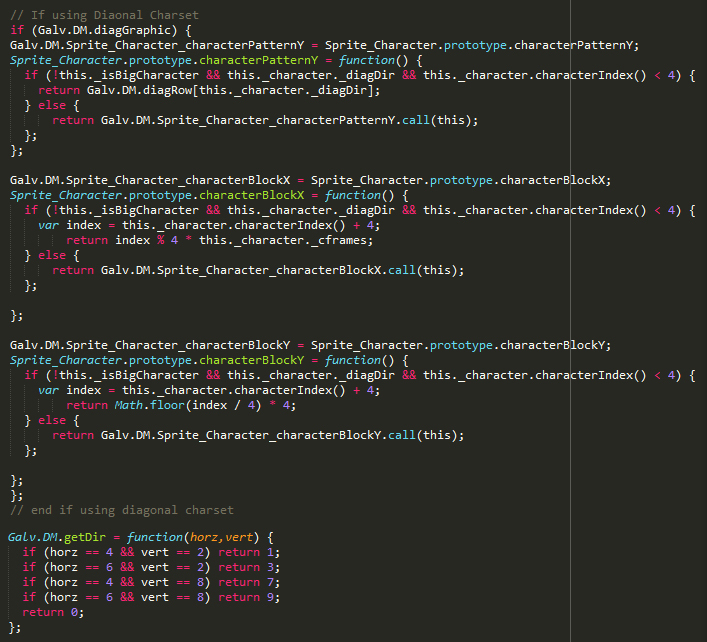 Now, who else is a pretty famous plugin dev that’s made a diagonal movement plugin? First one that comes to mind is Galv. And the first one nailed the mark. 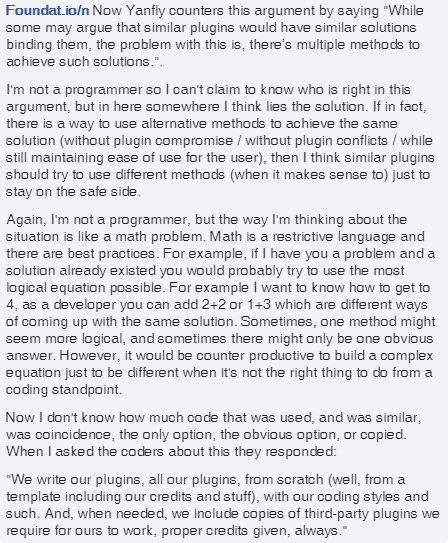 While some may argue that similar plugins would have similar solutions binding them, the problem with this is, there’s multiple methods to achieve such solutions. In the case of the diagonal movement, both versions utilize the same exact sprite sheet format when they could have done it in a different way. There’s other evidence as well, but running something through Diffchecker, an online difference checker tool, yielded more green results than red, meaning that aside from subtle changes in syntax, nearly everything else was the same. I’m unable to check their other plugins since they’re paywalled, but I wouldn’t be surprised if they were lifted code, too. So what can we do about this? Not sure. They’re based in Hong Kong and China’s copyright laws are questionable at best. 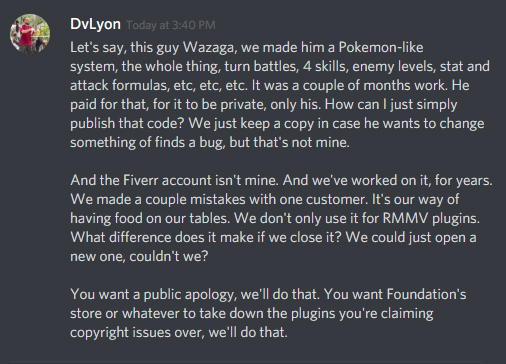 The best we can do is bring this to attention to the community and not support anything from their website and anyone named “Musubi”, the name used in both of the lifted plugins. 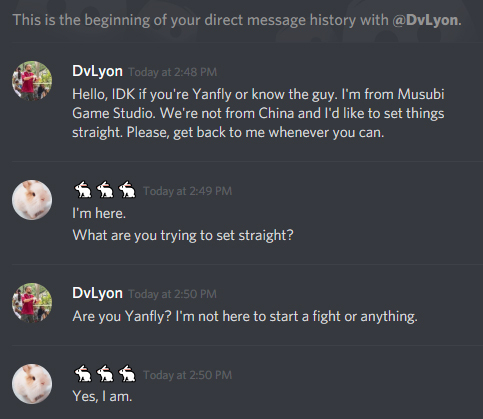 Upon further investigation, we’ve traced links down to a game studio named Musubi Game Studio where plugins and such are created by this guy on Fiverr. 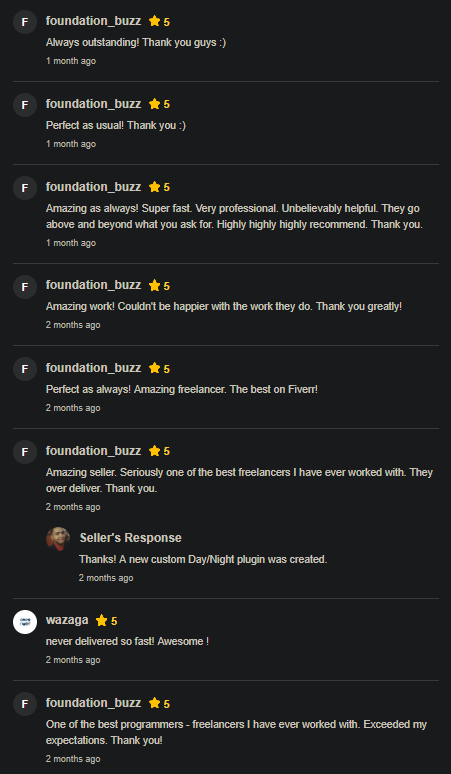 7 of which are reviews from “foundation_buzz”, which is eerily similar to Foundat.io. On top of that, there are 7 other plugins being sold on that website that happen to be paywalled behind $40 USD. The other 3? They’re plugins used to supplement the others, such as Region Restrictions being used to supplement Parallax. Both parties seem fishy to me. I would neither buy from Foundat.io nor from Musubi/Alexxisaaps if I were you. Tyler Warren has a Patreon now! Our hand-drawn battler loving friend, Tyler Warren, has launched his patreon! For those who don’t know, he’s been working with RPG Maker creating battlers ever since 2013 and released hundreds of monsters to fight. Tyler has now decided to launch a Patreon to continue forth with his passion on creating monsters. 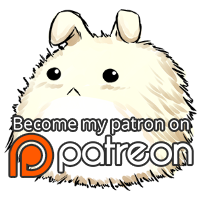 Becoming a patron of his comes with benefits, too, but it’ll be better for you if you take a look directly from his Patreon page itself! 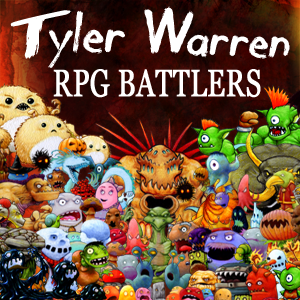 Visit Tyler Warren’s Patreon page here! The Core Engine has been updated to reenable the screen jitter bug fix. Apparently, this was supposively fixed since RPG Maker MV version 1.3.4, but apparently it’s came back. Dunno when, but it did. So here we go again. Two other plugins have been updated as well. Quest Journal got updated to prevent a freeze bug. Stat Allocation got updated to fix an exploit for free HP/MP recovery. Download the full collection here. Our talented plugin developer friend, Atelier Irina, made a new plugin for purchase! Action Sequence Fast Forward/Skip! Battle Action Sequences are lots of fun to watch. But for all players alike, seeing the same long-drawn out Battle Action Sequences for the hundredth time will get old. 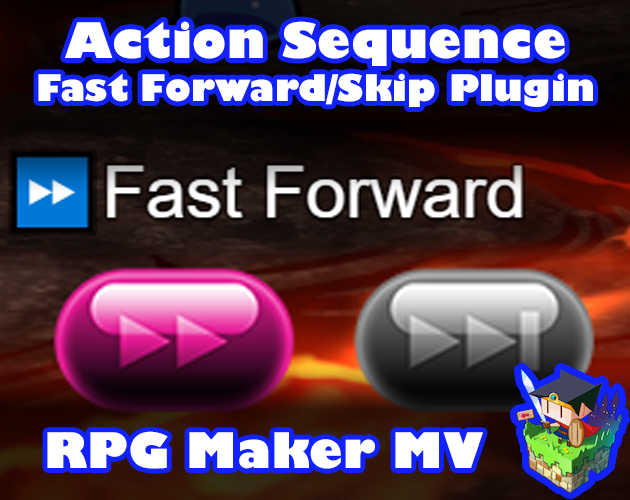 This plugin gives players the ability to fast forward or skip entire Battle Action Sequeneces altogether and show that you, as a game developer, respects the player’s time and decision on how they wish to play your game. You could change the buttons to perform these actions, but from the plugin’s default settings, you could fast forward by holding down the designated OK button (Z or Space on keyboard or holding the left mouse button down). To toggle Auto-Fast Forward, pressing Page Up or Q can do that or by pressing the Fast Forward button on the screen. If you haven’t changed the button setup, skipping animations can be done by holding down the designated Cancel Button (X or Escape on keyboard by the right mouse button). To toggle Auto-Skip Forward, pressing Page Down or W will toggle the Auto-Skip Forward feature or by pressing the Skip Forward button on the screen. It’s on sale for a week. You can purchase it here! Events usually have a 1×1 tile-large hitbox. However, in some cases, you’d eventually like to have a bigger object to interact with or would like to expand the reach of an event’s trigger area by a certain amount. This plugin allows you to adjust the sizes of any event’s hitbox through notetags and/or comment tags. A couple of plugins have been updated today! They are as follows! You can download the whole plugin library here. These were bugs pointed out and fixed by Irina. Thanks, Irina! Our Octopath-loving plugin creator friend, Fallen Angel Olivia, has created a new plugin! 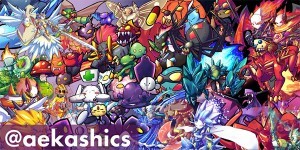 This is a RPG Maker MV plugin that will allow you to add various bright effects to your game’s maps and battle system. These effects can make the game appear more vivid, light, and gives you control over the color settings of a particular map to make a more distinct feeling, too. The bright effects can be changed midway through events in both maps and battles, too. It will be on sale for a week. Be sure to grab it! 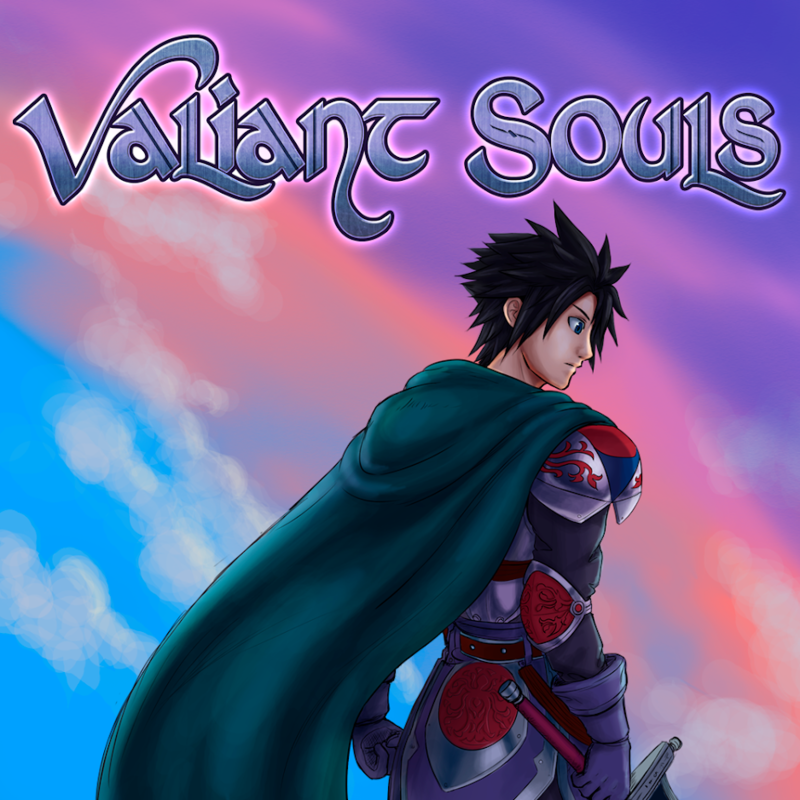 Valiant Souls is a 2D indie RPG made by Mario and Rene, two guys from Austria who are passionate about RPGs. 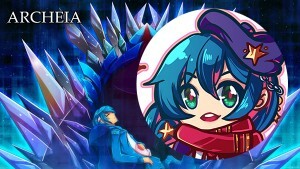 Valiant Souls is a classic 2D pixel art RPG strongly building on it’s characters, world building and a unique character development system with original hand-drawn battle sprites and animations, a soundtrack featuring Lufia 2 composer Yasunori Shiono and professional Japanese voice actors in battle. Our visual novel-loving friend, Atelier Irina, made a new plugin for animated loading images! The loading image for RPG Maker MV is static, meaning when a game freezes, it’s hard to tell if it’s still going or not. Having an animated loading image not only tells the player if the game is frozen, it also looks better, and can distract the player from the actual wait time. This plugin lets you make a spritesheet animation to use as your loading image. It’ll be on sale for a week! You can buy it here! 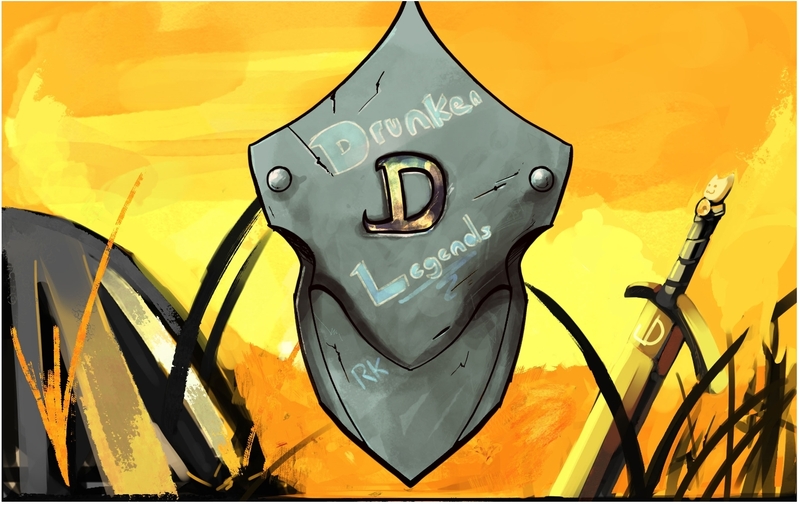 Today we see the release of Prelegendary Knights IV as suggested by Anonfox93 over at patreon! 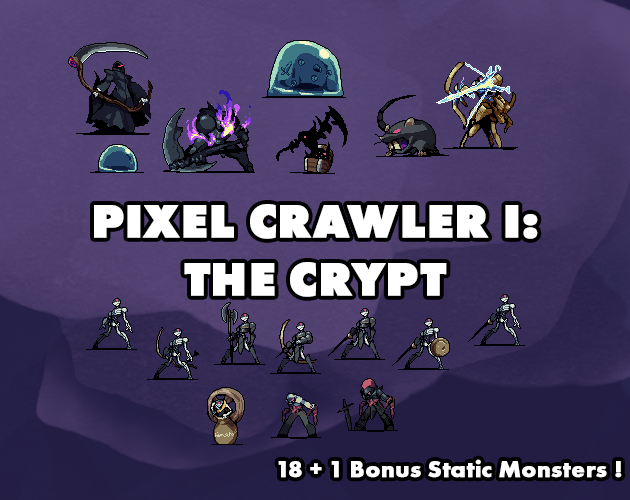 Pixel Crawler is a brand new line of pixel art static monsters designed by Aekashics aimed for RPG development in any game engine! 18 Static Monsters plus a bonus one for the Living Armor! Ideal for low-res Pixel RPGs! Each monster Comes at base resolution (96×96), 200% and 400% upscales! Ever wanted to put icons on events and/or the player? With this plugin, you can easily do it through a notetag, comment tag, movement script, or script calls. The icons can be attached to either the target’s head or moved around with buffer values! Placing icons on events can be used for a variety of things, such as puzzles involving holding items or using icons to mark certain objects on the map. The possibilities are endless!